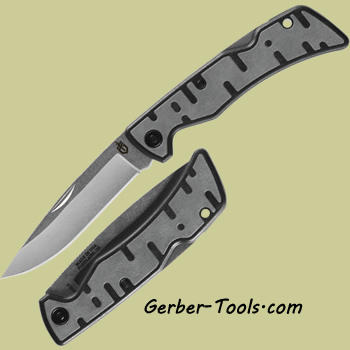 Gerber Commuter 31-003136. This everyday carry folding pocket knife features a 3 inch 420HC steel stone washed blade and a handle of glass-filled nylon with rubber inserts. It has an overall length of 7.21 inches. It also features a nail nick opening, finger jimping, and lock back safety mechanism. Made in the USA. The Commuter is a great every day carry, it feels good in your hands and you will want this with you will you commute back and forth with your daily jobs.